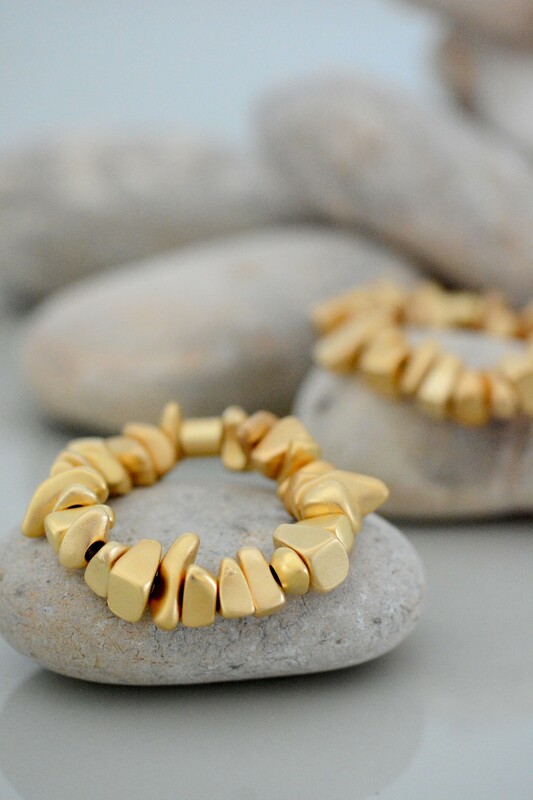 Matte gold color plated stones make this asymmetrical bracelet an exciting choice that pairs well with just about anything. You'll love the versatility of this unique piece. 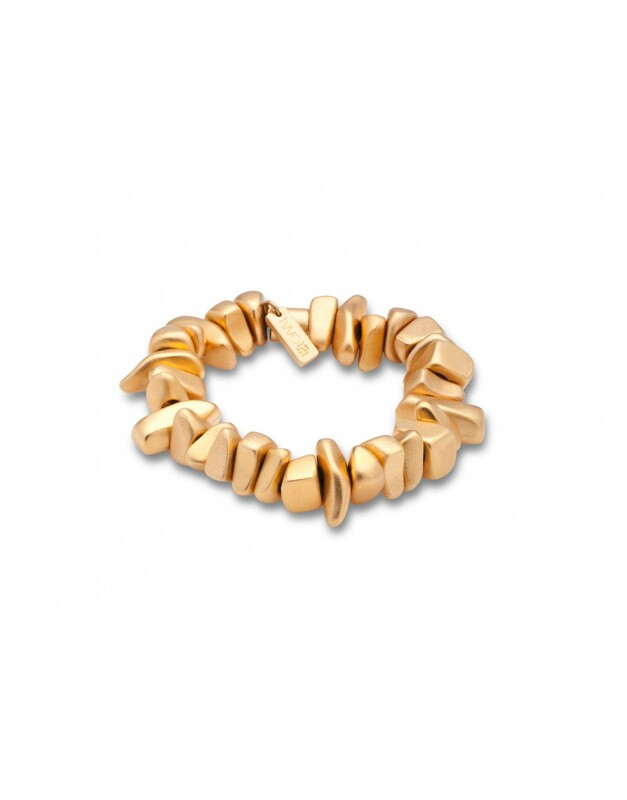 An eclectic variety of matte gold color plated metal stones make this asymmetrical bracelet a sight to see. 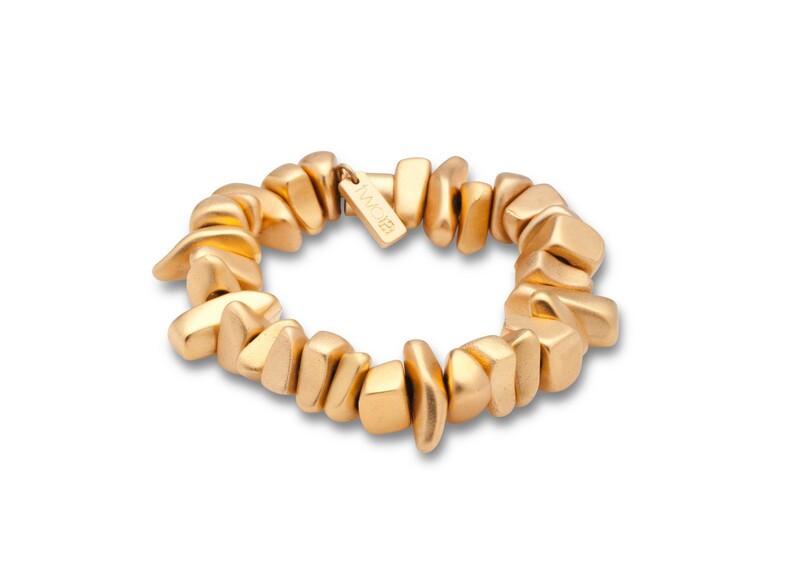 This tantalizing piece looks great on its own, but it's also easily paired with other bracelets for a unique and enthralling style. There is no limit to the number of exciting combinations that you can create. 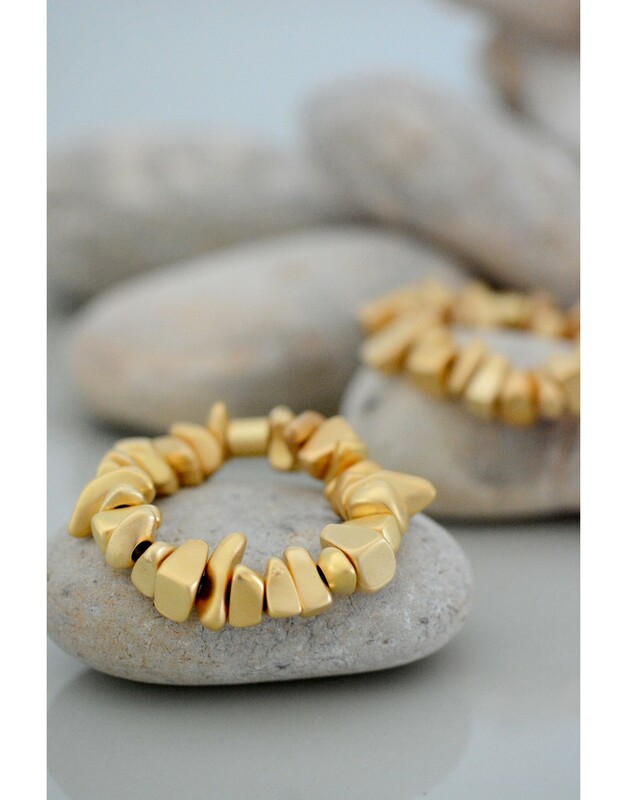 Made from elastic, so there's no clasp to worry about.